Austin Tan Cerca de la Frontera (one of the wonderful groups that is a member of the Austin Sanctuary Network) is having their annual Fair Trade Festival Dec 1 & 2- it’s a beautiful opportunity to shops fair trade crafts, meet artisans and enjoy delicious food and live music! It’s free and open to the public. Samuel Oliver-Bruno, who has been living in sanctuary in Durham, North Carolina for the last 11 months, was seized for deportation after leaving sanctuary to provide fingerprints for his petition for deferred action. 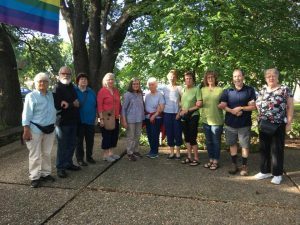 Dozens of supporters, including local faith leaders and Oliver-Bruno’s son, who is a US citizen, were arrested while blocking his arrest in protest, prayer and song. 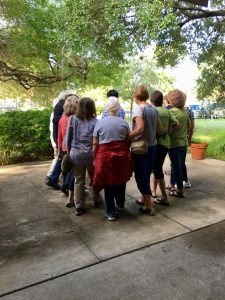 This morning Austin Sanctuary Network, community members and First Unitarian Universalist Church of Austin congregants accompanied Alirio for his 7th visit to the doctor in the last month. His health has been deteriorating since being in Sanctuary for over a year. His health is a major reason why needs to be free please sign and share this petition. Alirio needs to be free to fully recover and be healthy! Updates coming after the appointment. 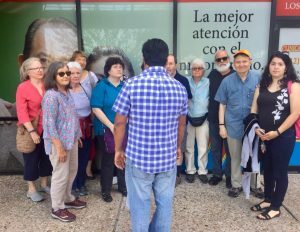 Esta mañana, la Red Sanctuaria de Austin, miembros de la comunidad y miembros de la iglesia UU acompañaron a Alirio en su séptima visita al médico en el último mes. Su salud se ha estado deteriorando desde que ha estado en el Santuario por más de un año. Su salud es una de las principales razones por las cuales debe ser libre, por favor firme y comparta esta petición. 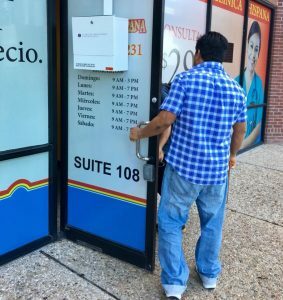 Alirio necesita esta libre para recuperarse y ser saludable. Actualizaciones después de la cita. 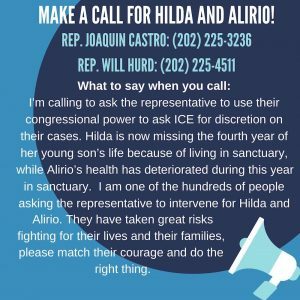 We are urging Member of Congress Joaquin Castro and Will Hurd to use their congressional position and power to persuade Immigration and Customs Enforcement to exercise prosecutorial discretion to grant stays of removal for Alirio Gamez, Hilda Ramirez and her 12 year old son Ivan Ramirez. Two families have taken sanctuary in in Philadelphia. Lean more about the families from this video.